I'm so deeply divided by that ending, but I guess we have to see how this is followed up on. What I'm also conflicted about is the clay driving Basil to evil, even if I understand it from the perspective of this story, but what can one do. Along with a lot of other people, I saw this ending coming for a long time. I'm still hoping Basil's actually still alive, but I'm satisfied with how Kate's actions were handled. She should have brought up the topic of lethal force in the last issue and reiterated it here, rather than saving it until now, but otherwise, it's almost textbook justifiable homicide. I was so worried she would outright murder him; I could just envision a scene where she has a human Basil in her sights and fires because she "can't risk him changing again." But that's thankfully not what happened. Plus it ties into her characterization from her solo, where she's becoming more comfortable with permanent solutions (more than she already was, that is). Legally and morally, I think she's in the clear, even if the Batfamily ends up disagreeing on that. I'm nervous but excited about the fallout of this. This is almost leaning into "Batman is the bad guy here" idea that Stephanie Brown had. I think that's the point to eventually lead up to where Bruce is at during Doomsday Clock with more anti-Batman riots. Well when Bruce let Jason keep wearing the Bat logo despite still using guns, it was really only a matter of time for other members to get ideas. It's not like this is news. Kate was a soldier to begin with and, while she certainly wasn't trigger-happy, she never shared Batman's idea that lethal force is unacceptable and she was definitely open to using firearms. I kind of expected Cass to perform the mercy killing. I hope this can be resolved, somehow, without Basil's death. 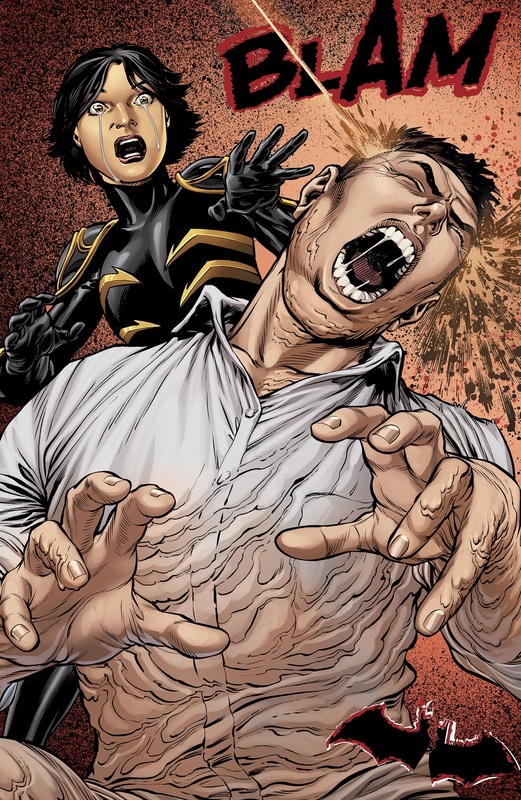 Cass is extremely anti-killing, though, possibly even more than Bruce. I couldn't buy her doing that, especially when she put herself on the line to talk Basil down last issue. Yeah, but it would have really, really hit the tragedy of everything if she was forced to kill Basil in order to save him (and everyone else). 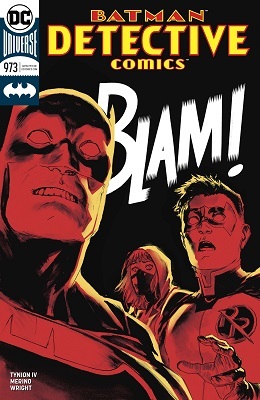 I'm just not as excited by Batwoman pulling the trigger because it's believable given her backstory, skills, and so on. Sure, it might put Kathy on the out with the Batclan, but maximum drama would have had Cass going Old Yeller on poor Basil. Maybe he'll survive somehow. I can hope. 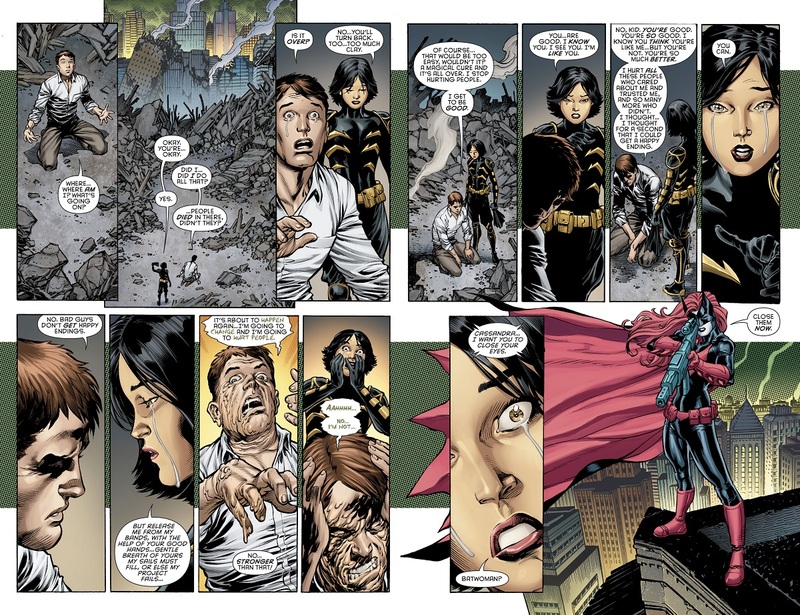 It would've been more dramatic for Cass to kill him, but at the expense of her characterization. Kinda saw this coming, but I'm disappointed how it came about. 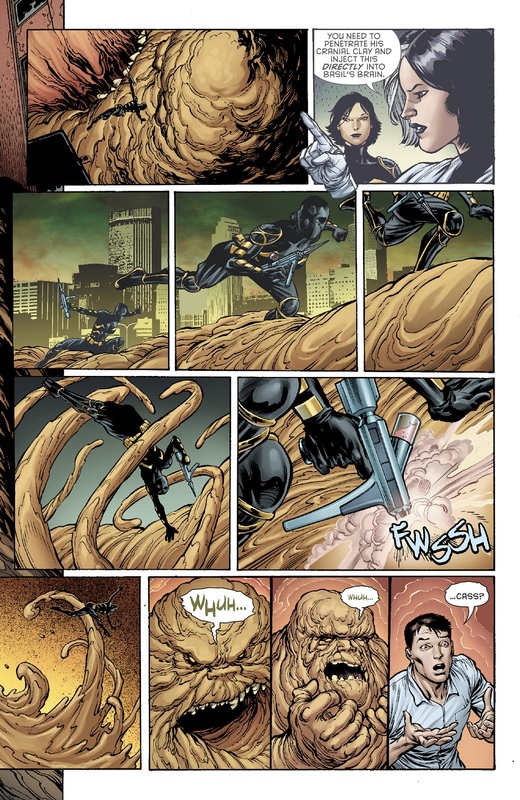 Clayface being losing his redemption because he was pushed, IMO, was underwhelming. I'd rather he gave it up because he couldn't face the enormity of it, all the people he's hurt. It feels just like yesterday he joined the team. And that's why I have a hard time investing in this stuff; nothing ever seems designed to stick around for the long term any more. And for all I know, it has been a while, but it doesn't feel like that long, which I think is ultimately the problem.